MobiCHECK SHARE promotes the FREE and INSTANT sharing of data to prevent crime and fraud in the mobile phone and technology sectors. Through the collaborative free sharing of data by our members, the MobiCHECK SHARE Network provides timely and accurate information about a mobile phone based on its unique IMEI number, instantly identifying suspicious devices and closing the window of opportunity for criminals to profit from mobile phone theft. 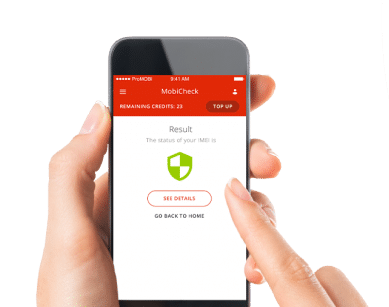 Joining MobiCHECK SHARE is a way of protecting your company from the risks of device theft and in turn, helping the mobile phone recycling industry as a whole by reducing the number of avenues for suspicious devices to be sold or traded. The MobiCHECK SHARE network consists of many companies from many sectors all working together to share data for free. By creating a secure network for data sharing and communications, we are able to support industries with real-time intelligence and information that enables the safe trading of serialised mobile and technology products. We successfully break down the communication barriers between competitive companies and sectors, allowing them to work together to reduce crime. It’s not just high street retailers and recyclers that are part of the MobiCHECK SHARE Network. We also integrate with external data sets including live insurance claims, network blacklists and police reports. MobiCHECK SHARE is free to accepted members and provides a web based portal to advise serial numbers of interest LIVE to the SHARE membership. MobiCHECK SHARE encourages our members to work together to fight crime and fraud in the mobile phone industry. If you’d like to be part of the MobiCHECK SHARE Network get in touch with us using the registration form below and a member of our team will get back to you within 48 hours. Remember, joining the SHARE Network is completely free. MobiCode are completely committed to preventing device theft and fraud in the mobile phone recycling industry. Please complete the following forms to register for the MobiCHECK SHARE Network.